How do loungers deal with extreme cold weather? Discussion in 'Outerwear' started by subject101, Mar 14, 2011. For those who suffer extreme cold weather in your cities or towns, zero Fahrenheit and bellow. What's your favourite clothes for these conditions (jackets, pants, gloves...)? Are your vintage jackets enough for you or do you need to grab modern stuff like Goretex? Well this winter I've mostly been wearing a Tee-shirt, Flannel shirt and heavy woollen sweater all underneath a leather jacket until I get home then I fire up the wood burner. Oh and thick jeans with long socks. Although it hasn't got quite as cold as zero Fahrenheit here but still cold enough for me. I haven't been out in quite as cold as you describe, but if I am out in the windy, freezing, unpleasant muck, I generally wear: Wool socks with whatever shoes I am wearing, heavy sweater, tweed jacket, long wool coat, pashmina wrapped up around my head, fedora, gloves, and if I am particularly cold, possibly another scarf. Naturally slacks and a white dress shirt are included in that. Knit ties on really cold days, just because they seem right. I spent a fortnight in Beijing in December, where it gets plenty cold. A couple of days there would have taken your head off.... It's also been pretty cold here in London. Then there was Belfast over Christmas.... brr. When not in a suit/dinnerjacket/ blazer (and therefore not wearing a long, wool overcoat), I tended towards my Irvin, B3 and B15-C repros as outerwear (the latter typically in more casual situations). I tend to like a shirt and waistcoat below these (waistcoat being tremendously handy for the pockets, especially with those sheepskins having only a single pocket between them, that on the front of the B3 and really only suited for stowing gloves). This Winter having been harsher than in the past few years, I have tended to add a nice, thick wool cardigan instead of the waistcoat. I grew up in downstate Illinois, but visited the lake front of Chicago during college in the winter. It was well below zero, I was wearing a t-shirt, a flannel shirt, a sweatshirt, a down vest and an insulated jacket over all that. My chest was cold, but on the lakefront, it's not the cold, it's the wind and the cold. Gore-tex helps cut the wind, and it's very useful for that. February in Wisconsin. I'm not sure as to the exact temperature...I’m guessing it was above 0F, but not much above. Thankfully, on this day, the wind was fairly calm, and the sun was out. I'm comfortable in jeans, a thick cotton turtleneck, a very thick Cabalas fleece pullover, Wigwam socks, Georgia Boots and a Camp Draft. Actually yes, I'd forgotton about the cheap beanie that just about covers my ears when pulled right down. I wear a vintage jacket, western-type work boots, a heavy flannel shirt, dickies or jeans of some sort, heavy socks, and a felt fedora. I'm usually plenty warm. It has been a while since I have dealt with really cold weather, but at a certain point I always got out the long underwear. Layering always helped. Up in Plattsburgh where is was pretty darn cold i worn the knit cap and had the military parker with the hood with fur around it. It was cold enough to have the cap on and pull up the hood when it got windy. Duffle coat (RN Issue), German Mountain Cap or Stormy Kroner, wool work trousers ('40s), German Border Guard boots or Gentleman travelers, and a soccer/football scarf (Newcastle or Chelsea). Oh, and a wool sweater vest. Works pretty well. 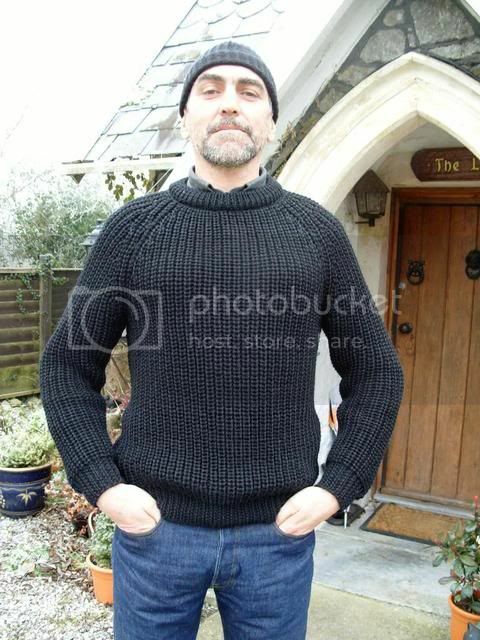 I used to live in cold weather, nothing like an Irvin to keep one really warm, and they do! For a long walk from the parking lot to the office, followed by a full day's indoor employment: Bean boots (oxfords stored in the office), wool flannels, cotton sweater vest over dress shirt with knit tie. Harris tweed jacket or thick flannel blazer under a good woolen overcoat. Rabbit-lined leather gloves. If it's not too windy, a fedora on top; otherwise, a slightly battered "Mad Bomber" fur cap. 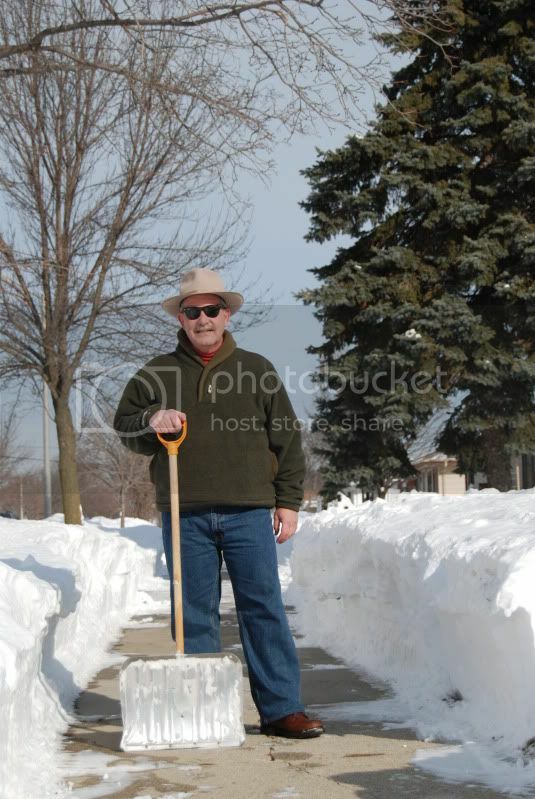 For sidewalk and driveway shoveling: Bean boots, wool flannels (or corduroys), WPG submariner turtleneck sweater over a dress shirt or cotton turtleneck. Battered lined leather gloves, and a tweed cap. No coat needed; just the occasional trip inside when the hands stop hurting from the cold. I usually only feel the need of something over my ears in extreme cold, especially wind. I have a couple of Ushankas and a B2 cap that will be deployed in such circumstances - if the situation requires a dressier hat, I might opt for a scarf wrapped round my head. Hats, gloves, jackets or coats, scarves and earmuffs are all vintage items use to protect against cold. Choose whichever you feel are appropriate. That said, if I'm going out in extreme cold, I'm going to bundle up to the point I feel prepared to venture out, be that in vintage or non-vintage items. While I like to wear vintage-styled items, I'm not under any mandate to ALWAYS dress that way. My comfort, health and safety, and common sense, are going to dictate what's proper and necessary for my comfort and health. Liking vintage does not require us to take advantage of more modern developments in apparel and the like. Hey, thanks to everybody for the input So, it's all about layering and not about heavy coats. My trick for covering my ears when in pain is one of those military neck warmers. It covers your nose tip too :lol: and it stands in position all the time. Liking vintage does not require us to take advantage of more modern developments in apparel and the like. What modern apparel do you like for extreme cold weather? I never discarded modern clothes. I've been in a couple of dangerous situations because of cold weather, so I'm pretty aware that you don't want to be messing around with extreme cold. Yes, it's incredible how people have willfully forgotten the insulating powers of shearling. Almost as if it...went out of style, or something.